Fresh corduroy at The Homestead Ski Area. Photo Courtesy of The Homestead Resort. 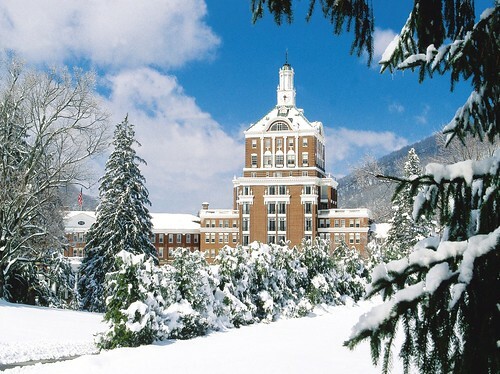 [R463R, The Homestead Resort and Ski Area] in Hot Springs, Va. has been a favorite skiing destination since 1959, known for its 45 acres of wide slopes and as a great family learning area. Now after a few years with no night skiing, the resort is turning the lights back on. Night skiing will extend the hours of family fun for weekend skiers and riders, every Saturday from 5:30-9 p.m. After the sun goes down, six trails will be open and shining bright with lift tickets priced at $25 for adults and $20 for children 12 and under. The trails aren't the only thing getting a little brighter this season. The Homestead has also announced several packages that will light up the holidays for the whole family. Book a stay around Thanksgiving and enjoy a late season hayride, bowling or golf. Once the ground has frozen, take a spin on the ice at the outdoor ice rink. Plus, get special Holiday discounts of up to 50 percent off KidsClub, 15 percent off spa services, 20 percent off romantic carriage rides and 10 percent off ski/snowboard lessons. The Holiday Escape (starting at $225), available through New Years Day, includes breakfast for two and 25 percent off all outdoor activities. Once winter is in full swing, the Ski & Skate Package (starting at $219) grants unlimited access to the ice rink and ski area. All packages include accommodations in the luxurious, 483-room Homestead Resort. For families with kids not ready for skiing or snowboarding, The Homestead offers the Little Penguins program for their younger guests, ages three to 12. Kids can build snowmen and sled while Mom and Dad hit the slopes. 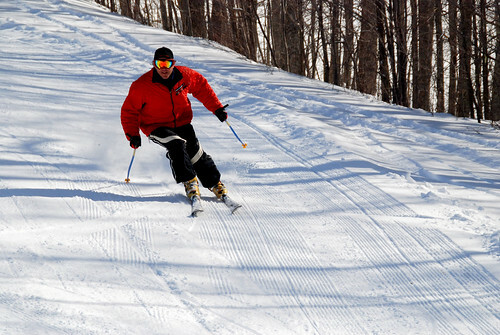 The Homestead Ski Area plans to open Saturday, Dec. 17. Click here for more information or call (877) 549-9506. A fresh blanket of white covers the legendary resort. Photo Courtesy of The Homestead Resort.